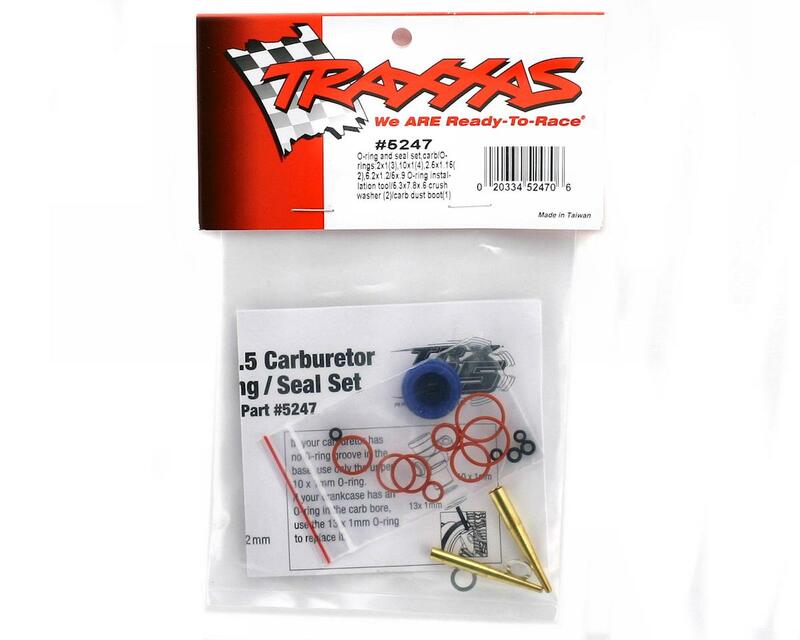 This is a replacement o-ring and seal set for the TRX 2.5 Engine. This is the complete seal and ring set with two brass ring installation tools. 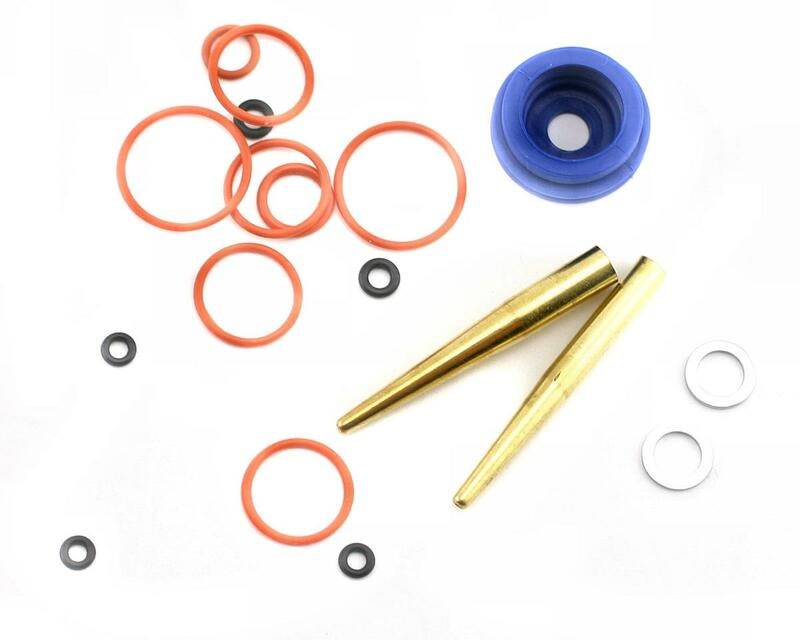 This set contains one blue rubber carburetor level seal, two silver 5.3x7.8x0.6mm crush washers, two large 13x1mm red rubber o-rings, four 10x1mm red rubber o-rings, two 2.5x1.15mm black rubber o-rings and three 2x1mm black rubber o-rings.